Physics opened its “pages” on July 14, 2008, to bring greater attention to the research in the Physical Review journals (see our anniversary editorial in APS News). In the ten years that have passed, we have published over 3000 stories, covering a vast array of results, from the hunt for the Higgs boson to the discovery of time crystals to the dawning of gravitational-wave astronomy. Our articles always have a bit of fortune telling, with guesses about where an exciting result might lead. Now we’d like to turn the clock in the other direction and see how far some fields in physics have come since we covered them. Below, we’ve selected a few “hits” from our archive and posed that favorite question from celebrity retrospectives: Where are they now? Physics debuted with a story about Italy’s AURIGA experiment, a chilled metric-ton aluminum cylinder so “still” that its slightest quiver could signal passing gravitational waves. AURIGA scientists reported that they had cooled their detector to 200 microkelvin—bringing the massive metal bar closer to its quantum ground state than any other object of comparable size (see Viewpoint: How to Silence a One-Ton Bell). Ultimately, funding for bar gravitational-wave detectors fell off in favor of interferometric approaches like that at LIGO and Virgo, and AURIGA was shut down in 2016. But two former spokespersons for the experiment said that, before shutting down, the giant, cold mass was first used for one-of-a-kind tests as a dark matter detector and a probe of quantum mechanics. In other Physics news: CERN turned on the Large Hadron Collider in 2008, but as Michael Peskin humorously reported, the particle accelerator didn’t produce any Earth-eating black holes. X-ray free-electron lasers—the first of which turned on in 2009—produce ultrashort x-ray pulses that can potentially capture electronic motion around molecules. 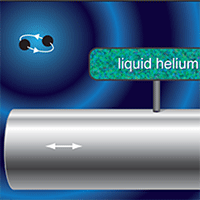 Outlining this promise, a theoretical study by Lee Collins and colleagues showed how these pulses could “film” the ionization of a simple molecule—the hydrogen ion H2+ (see Viewpoint: Illuminating Molecules from Within). 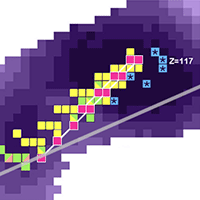 The team calculated the interaction of H2+ with an x-ray pulse and found that measuring the kicked-out electrons should reveal information on the ionization dynamics. While this specific proposal hasn’t yet been realized, free-electron lasers have recorded a handful of other molecular movies since 2009. “We are on the verge of obtaining movies that will shed light on a wide range of physical processes for molecules of increasing complexity,” Collins says. In other Physics news: The first Bose-Einstein condensate of strontium atoms was produced experimentally, opening up new possibilities for precision tests of fundamental constants due to strontium’s unique atomic transitions. A project to fill in the bottom row of the periodic table culminated in 2010 with the discovery of element 117 (see Viewpoint: Exploring the Island of Superheavy Elements). This nuclear behemoth lasts only tens of milliseconds before decaying, but when compared with other “superheavy” elements, its observed lifetime seems to confirm that adding more neutrons increases nuclear stability. Extrapolating on this trend, theorists have predicted the existence of an “island” in nuclear parameter space where extremely large nuclei are stable. With element 117, “we stepped on the shore of the island of stability,” says project-leader Yuri Oganessian. Mapping more of the island, he says, will be the aim of the Super Heavy Element Factory, turning on in late 2018 in Russia. In other Physics news: X-ray studies of cement revealed that nanocrystals of calcium-silicate-hydrate provide the material’s glue, giving engineers potentially helpful information to improve the durability of cement. 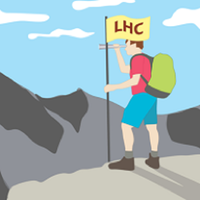 One of the main motivations for building the LHC was to test predictions from supersymmetry (SUSY) theories, which could solve several problems in the standard model of particle physics. In 2011, the ATLAS and CMS collaborations at the LHC announced new limits on SUSY theories, based on proton collisions at 7 TeV—the high-energy frontier of the time (see Viewpoint: The Large Hadron Collider Enters the Race for Supersymmetry). The collaborations found that if SUSY particles exist with certain basic properties, they would have to be heavier than about 700 GeV/c2. More recent searches have placed further constraints on the theory. However, Viewpoint writer David Toback remains optimistic, noting that theorists have ruled out many versions of SUSY, and many new versions have appeared since 2011. In other Physics news: The T2K collaboration in Japan reported early hints that muon neutrinos can oscillate into electron neutrinos, helping to complete the neutrino oscillation picture. In other Physics news: The Higgs boson made its long-awaited appearance at the LHC in 2012. Experiments at the Tevatron at Fermilab confirmed the discovery, while also providing evidence that the particle decays into two bottom quarks. Cloaking is most associated with hiding objects from sight, Harry Potter style. But a 2013 experiment showed that the basic cloaking method of bending light could be used to navigate heat flow around an object as if it weren’t there (see Focus: Invisibility Cloak for Heat). 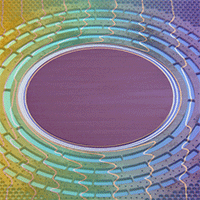 The heat cloak, a perforated copper ring whose holes were filled with a rubbery insulator, was based on a design by Sebastien Guenneau and his colleagues. Reflecting on the work five years later, Guenneau says it showed that one can control diffusion processes, like heat, in pretty much the same way that waves are controlled. This conceptual breakthrough led, he says, to demonstrations of cloaking of light in “smoky” media and shielding concrete from corrosive chemicals. In other Physics news: Researchers coined a new definition for quantum size, called “macroscopicity,” which can be used to compare experiments that generate quantum superpositions in large, multiparticle objects. 2014 – Cosmic Hint of Sterile Neutrinos? 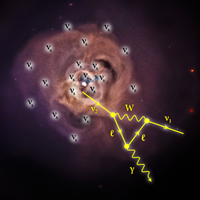 Two independent teams observed a weak x-ray line in the emission of distant galaxies that are known to harbor large masses of dark matter (see Viewpoint: X-Ray Line May Have Dark Matter Origin). Such a spectral feature is not expected from ordinary astrophysical processes, so some researchers proposed that the dark matter is made up of sterile neutrinos and that the x-ray signal comes from their decay. “The case for the dark matter interpretation has become stronger since 2014,” believes Alexey Boyarsky, who led one of the two teams. He says that some possible atomic origins of the line have been ruled out and similar emission has been spotted in the Milky Way. “The case may be settled in 2022,” hopes Esra Bulbul, leader of the other team, as that date is when the high-resolution X-ray Astronomy Recovery Mission will be launched. In other Physics news: The BICEP2 collaboration shook the physics community with the claimed detection of gravitational waves originating from the big bang. Later scrutiny, however, revealed that the signal was caused by a more mundane source—Galactic dust. Weyl fermions are particles that act like half electrons. They’ve never been spotted in a particle collider, but in 2015 several groups discovered that certain materials host collective electronic states that behave like Weyl fermions (see Viewpoint: Where the Weyl Things Are). These materials, called Weyl semimetals, have become the focus of a vibrant subfield in condensed matter, says Hong Ding, a member of one of the experimental groups. 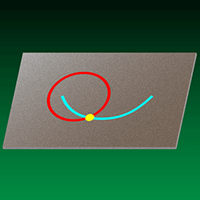 One follow-up study identified a second type of Weyl semimetal that violates a fundamental symmetry called Lorentz invariance. 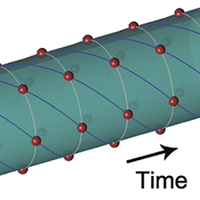 Other work has shown that applying pressure can induce superconductivity in Weyl semimetals. 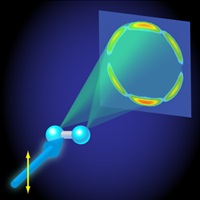 Ding foresees more to come as Weyl semimetals are fabricated as high-quality thin films that can be used in devices, such as Weyl-based photovoltaics. In other Physic news: Following the Higgs boson discovery in 2012, researchers were able to calculate the stability of the Higgs field. At first blush, the Universe seemed doomed to a cataclysmic instability, but theoretical work showed that it’s possible to avoid this so-called Higgs abyss. After decades of research and hundreds of millions of dollars spent, the LIGO and Virgo collaborations announced in 2016 the direct detection of gravitational waves from a black hole merger (see Viewpoint: The First Sounds of Merging Black Holes). The discovery, which was awarded the Nobel Prize the following year, opened a new window onto the cosmos and was “a turning point in astronomy and physics,” says Viewpoint writer Emanuele Berti. The signal revealed a new population of solar-mass black holes and verified general relativity in the strong field regime. 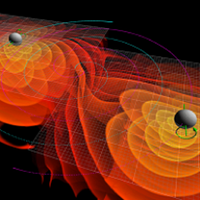 Since then, the collaborations have detected several more binary black hole mergers as well as a binary neutron star merger—the first event seen in both gravitational and electromagnetic waves. In other Physics news: We published a commentary on one of Stephen Hawking’s last papers, a proposal for black hole “soft hair,” which is a potential new direction that could solve the famous black hole information paradox. When it comes to quantum computers, the buzz word is “topological.” That’s because topological quantum computers have the potential of being more resistant to environmental noise than “conventional” quantum computers. 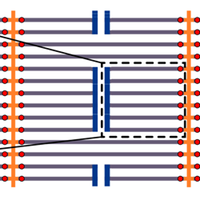 Last year, Torsten Karzig and colleagues proposed two possible architectures for a topological quantum computer that uses so-called Majorana nanowires as topological qubits (see Viewpoint: A Roadmap for a Scalable Topological Quantum Computer). Researchers have since built on this roadmap, proposing error correction schemes for the designs. While fully functional topological qubits are not yet a reality, Karzig is hopeful this step will happen soon. “The availability of topological qubits has the potential of revolutionizing quantum computation,” he says. Given this prospect, he thinks the “buzz” is fully justified. In other Physics news: Researchers measured the melting temperature of solid hydrogen at high pressure and found intriguing discrepancies with theory, which may bring new insights into the detection of metallic hydrogen that was made earlier in the same year.